Before I moved to Brazil, I taught ESL to a group of refugee students from all over the world. I taught at an intermediate level, and I remember being surprised by my students’ insistence that they didn’t feel fluent, that their English was inadequate. Of course, I recognized that they had a lot to learn, but in all of our conversations, we were able to convey essential information–so I was both inspired and puzzled by their dedication to learning more English. Living in Brazil (with only a low-intermediate understanding of Portuguese), has given me a new perspective on the importance of inessential communication. I’ve come to realize that, in many cases, it’s the detail and tone which makes a conversation lively, not the essential information that’s being conveyed. For example, I went to an herbal shop yesterday looking for a few ingredients for tea. I knew how to ask the shop keeper, “Do you have this? How much does this cost? Can I use this to make tea? Is this locally grown?” But I didn’t know how to interpret the stream of small-talk she gave me while climbing up her shelves looking for jars or measuring out scoops of aromatic powder. Even though I did manage to communicate and accomplish my main goal (buying the ingredients I wanted), who knows what funny or insightful information I missed along the way? In Portuguese, the word “peru” means “turkey.” It’s also the name of the country Peru, and guess what? Brazilians make the same jokes about Peruvians that Americans make about Turkish people! As if name-changing countries aren’t weird enough, people can change names too! For me, the strangest change in Portuguese is James–> Tiago. I was in a book store the other day, leafing through a Brazilian edition of Harry Potter, when I came across the name “Tiago Potter” (Harry’s dad). I laughed out loud! The English language has over 170,000 words, while Portuguese has around 390,000. Naturally, some of those words are going to collide in unintended ways, thus giving us false cognates, words that sound alike but have completely different meanings. 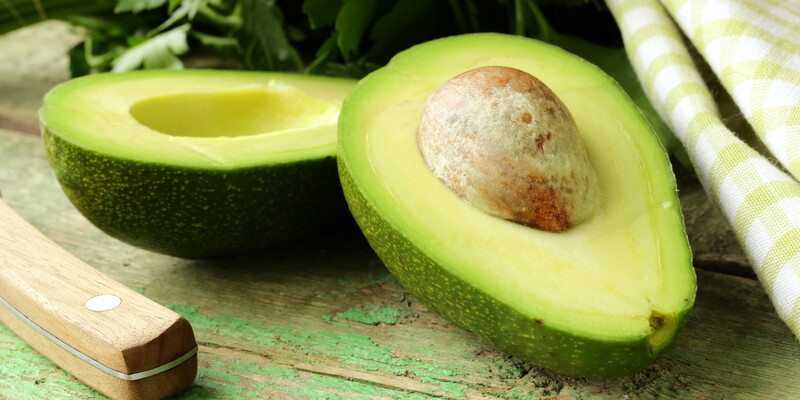 In Portuguese, the word for lawyer is “advogado.” It sounds so much like avocado to me that, several times, I have accidentally asked someone in a grocery store where the lawyers are. Luckily, there are plenty of true cognates between English and Portuguese as well. Yesterday, I got away with saying the word “hostile” in a weird accent, and I sounded like a smart person! Recently, I bought a copy of O Grande Gatsby (The Great Gatsby)! The bookseller looked at me like I was crazy, but the truth is, I can understand the language in Gatsby better than I can understand the language in some Portuguese children’s books. Why? It’s because of those cognates I just mentioned. In my experience, the more high-brow your language is, the more cognates you will use. For example, there are Portuguese cognates for the words marvelous, excellent, magnificent, splendid, but the most basic word, good, sounds completely different. Slang, then, is a huge stumbling block for me. Slang is confoundingly simple. It sounds completely foreign to me, and even if I do manage to translate the words, they are often used out of context to give a different meaning (I guess that’s the definition of slang). Legal: This is like the English version of “cool.” Technically, it means “lawful,” but people here use it all the time to say that they like something. Boneca/garota/galinha/gatinha/piranha: These are all words for an attractive girl (with varying levels of politeness, I think). In reality, they mean everything from cat to chicken to piranha. I can’t keep them straight. Cara: Technically, it means “face,” but people here use it to mean “buddy” or “dude.” I think it’s specific to men. (And the language here is much friendlier, so if you’re a man, you are going to be called “cara” A LOT). What does a cat say? Miau. (Okay that’s pretty close). What does a dog say? Au au. What does a pig say? Oinc. What does a horse say? Hihihihihihi! What does a rooster say? Cocorococo! What does a baby bird say? Piu piu. What does a frog say? Frog says nothing. Have you ever learned a new language? What was the hardest part for you? I tried to learn Irish when I moved here in 1999. It was soo hard. However I now sing in Irish with our church choir. I still cannot speak it ! I remember seeing signs in Gaelic when I was travelling around Ireland. I was so surprised; for some reason, I thought it was an extinct language before I went there! I can imagine how beautiful the choir music must be. I have a few Irish CDs, and they’re some of my favorite. I also like the lessons different languages teach us about how other people think. For example, there is more logic in Spanish when one says “la casa Azul” than in the English “the blue house”…. Logically, it makes sense to visually locate “house” then “blue” than to sort out all things “blue” and then which of those is “house”… But then, writers dote over odd details, don’t they? I had never thought about the logic behind the way we order nouns and adjectives! Very neat point! First, I would like to say that I really enjoyed your blog, I have been reading for almost two hours some of your posts. It’s really very good! I loved your post about Les Miserables, I wanted to comment but probably I could not expose my ideas in words and especially in another language. But this text I really have to comment, I laughed a lot! (kkkkkkkkkkk). Was a great read that reminded me of some things I’ve been trying and I still try to learn and a new language. 1) Contractions. The contractions were something very difficult for me, not to read but to listen. Because I couldn’t “hear” the contraction. For example, I had trouble because i couldn’t listening the difference between “can” and “can’t”. To me was the same sound, but after some time I began to understand the difference. 3) About read a children’s book. I don’t know if it’s because of false cognates or the use of slang, but something similar happened to me when reading a book, which at least told me it’s a teenage’s book. Recently I bought the book Tom Sawyer, I’m having a hard time reading this book, although I understand almost of the every word, but many times I get lost in the story and I can’t understand what happens in the story. But a few months ago I read a book by Oliver Sacks, which in theory It’s more difficult but to me it was very easy to read! why?!?!?! 4) Finally, to me the most hardest to learn a new language is speak with some native or speaker. Because to me, when i had to talk another language, I get embarrassed because I didn’t practice, just read… And I forget the words! Rafael! Thank you for your thoughtful response. I’m so glad you are enjoying my blog! Being able to hear the differences between words is a big obstacle for me too. In fact, I’ve found that I am much better at speaking Portuguese than understanding it (one of the reasons being that, even if I know a word, I might not recognize it when someone uses it in conversation). I’m very impressed that you were able to make any headway with Tom Sawyer! It is a very old, very southern book, and it relies heavily on old southern dialect (sayings that people today don’t even use and people outside of the south never used!) As a matter of fact, I was recently looking for a book to give a Brazilian friend with very advanced English. At first, I picked up my copy of Tom Sawyer, but after reading the first few pages I thought “No way!” I can definitely see where Oliver Sacks would be an easier read (I love his work, by the way). Why does the south get its own genre?